Next review DO NOT USE BOOKVIP.COM!!!! Our special promotional packages are sponsored by the resorts and the rooms are discounted up to 77% because the resort is subsidizing the room in exchange for your time during the resort preview. The location of your resort preview is clearly stated in your resort confirmation, as well as included in the Terms and Conditions governing your vacation package. All qualifications, resort fees, taxes, deposits and penalties for any particular property are also clearly stated on the Terms and Conditions governing each vacation package. Not mentioned in your review, however, is that you choose to travel to Orlando, knowing you did not have a major credit card, which resulted in your promotion package being voided. 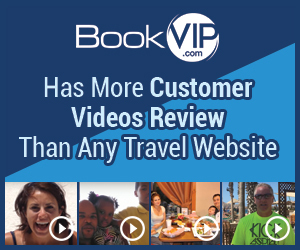 Neither BookVIP nor the resort could have known that you were not in possession of a major credit card since you agreed to the Terms and Conditions via electronic signature when you made your reservation. They said the hotel I was going to was 4 star it's more like 2 a cheap motel. The free breakfast is microwaved,if ur going to a presentation make sure it's on the property ur staying at because mines was 20 minutes away at a different hotel and they don't provide transportation but book.vip doesn't tell u all this. Book.vip takes ur payment and tells u all ur fees and taxes are included,u get to the resort and they still charge ur credit card. Product or Service Mentioned: Bookvip Westgate Resorts Vacation Ownership. Review #831305 is a subjective opinion of Toya.